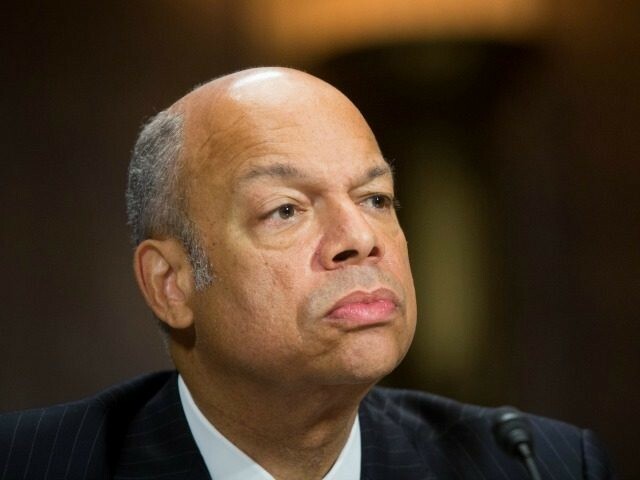 The encounter between Senator Ted Cruz and Homeland Security Secretary Jeh Johnson over the “scrubbing” of Islamic terminology and Islamist networks from federal anti-terror plans was terrifying to watch — because it showed that President Barack Obama’s appointees are a clique of arrogant, disdainful and gullible amateurs. Cruz then referenced the testimony of DHS whistleblower Philip Haney, who said references to jihad, and the leading role of Muslim Brotherhood organizers and clerics, had been scrubbed from over eight hundred federal documents. Johnson’s attitude was shockingly blase as he admitted he had no idea whether Haney’s account was accurate. He acted like a spoiled teenager who wouldn’t get off the sofa to do his chores. “No, I have not taken the time to investigate what Mr. Haney said …[and] it makes no difference to me,” Johnson told Cruz. After waving off several Cruz questions with lazy assertions that he has no idea what’s going on in his own department, Johnson started to brag about how many drone strikes he approved to kill assorted desert-roving “extremists” — as if the problem of domestic jihadis could be solved by whacking Toyota trucks in eastern Syria. Johnson then tried serving up cliches about how the administration can ignore the reality of Muslims beliefs but still somehow persuade imported older Muslims to hand their angry young Muslim sons over to the FBI for imprisonment. “If we, in our efforts here in the homeland, start giving the Islamic State the credence they want, to be referred to as part of Islam, or some form of Islam, we will get nowhere in our efforts to build bridges with Muslim communities — which we need to do, in this current environment right now, that includes homegrown violent extremists,” said Johnson, so repeating the delusion of cultural harmony that is the foundation of the administration’s “Countering Violent Extremism” domestic anti-jihad strategy. “You’re entitled to give speeches other times,” Cruz interrupted him. “My question was whether you were aware that the [Brotherhood] information has been scrubbed” from federal databases. “And yet, the Administration did not act, and Nidal Hassan walked through Ft. Hood, in my home state of Texas, murdering 14 innocent souls, yelling ‘Allahu akbar!’ Do you think it was a mistake not to respond to those red flags ahead of time, and prevent the terrorist attack at Ft. Hood?” Cruz asked Johnson. Johnson, a lawyer, then started dodging by disagreeing with Cruz’s “factual predicate,” evidently in the mistaken belief that the phrase “factual predicate” was a magic spell that would make Cruz disappear, if he repeated it often enough. Cruz, also a lawyer, then asked Johnson to identify one single fact in Cruz’s case he disagreed with. “What, specifically, do you disagree with, sir?” he asked. “In one minute, I couldn’t possibly answer your question,” said Johnson. “Pick anything,” Cruz shot back. Johnson picked something… and got it wrong, so Cruz took him to school, reducing Johnson to the admission that he wasn’t really sure if the FBI was aware of Hassan’s communications with Awlaki. Cruz pointed out that this “red flag” was a matter of public record. “What concerns me, and I believe should concern the Department of Homeland Security, is that because of this effort — scrubbing your law enforcement materials of any acknowledgement of radical Islamic terrorism — when you see the red flags of radical Islamic terrorism, you do not follow up on them effectively,” said Cruz. “And we have terrorist attack, after terrorist attack, after terrorist attack that could have been prevented, but for this Administration’s willful blindness,” he concluded. Johnson responded by praising law enforcement for all the dots they do connect, and all the terrorist plots they have stopped, which is both fair enough, and nowhere near adequate as a response. Scrubbing the books of everything related to jihad isn’t going to enhance future performance, and those who have died in attacks that could have been prevented aren’t here to give “A” for effort. I think the labels, frankly, are less important, except where we need to build bridges to American Muslim communities and not vilify them so that they will help us help them. That is my answer to your question, sir. Johnson was pretty much checking his watch through the whole hearing, treating it as an annoying distraction… which is the arrogant disdain of a man who thinks he’s playing for a team that will never, ever be called on a single bad play by the media referees.